New York City was host to the annual Toy Fair this past weekend, and we’ve seen everything from Guardians of the Galaxy action figures to the shape-shifting figures from Transformers: Age of Extinction. Both of those, and many more, are heavy on the detail and have been quite pleasing to the eye, so it only fits in with the law of averages that some toys don’t quite meet fan expectations. 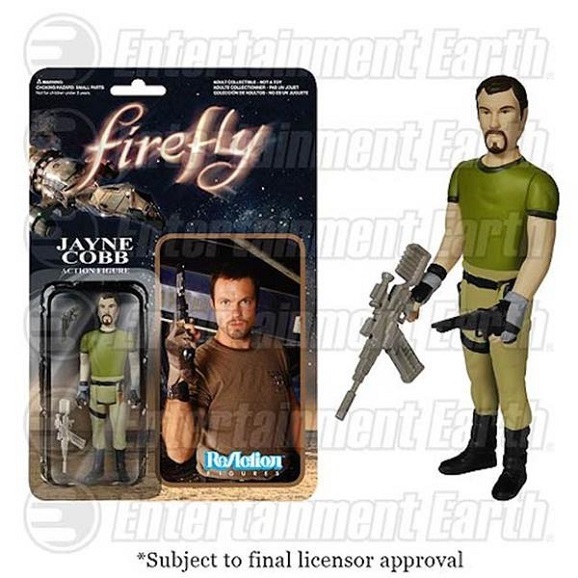 Sadly, this is the case with the first officially licensed toys for Joss Whedon’s Firefly. As seen above, these definitely were not worth the wait. Thankfully, this isn’t a case of accidental failure or anyone selling out. Pop culture toy manufacturers Funko are putting this set out as “ReAction Figures,” part of a throwback line that recalls the look and set-up of Kenner figures of old. You know, the ones with five points of articulation and the flat, curved crotches that the legs arc around. But even with the arguably clever premise behind their design, these still aren’t pleasing to look at. It’s kind of like getting a copy of Jules Verne’s 20,000 Leagues Under the Sea written in crayon. 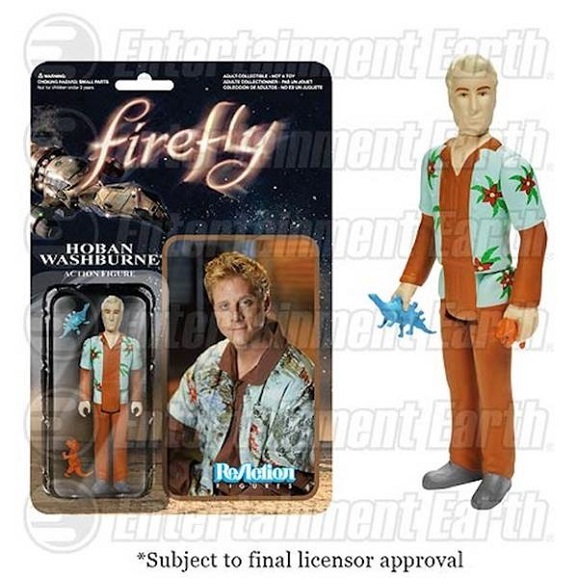 The silver lining in this case is Funko plans to release more realistic 6-inch Firefly figures in the future, which should be super snazzy. But for now, we have these. 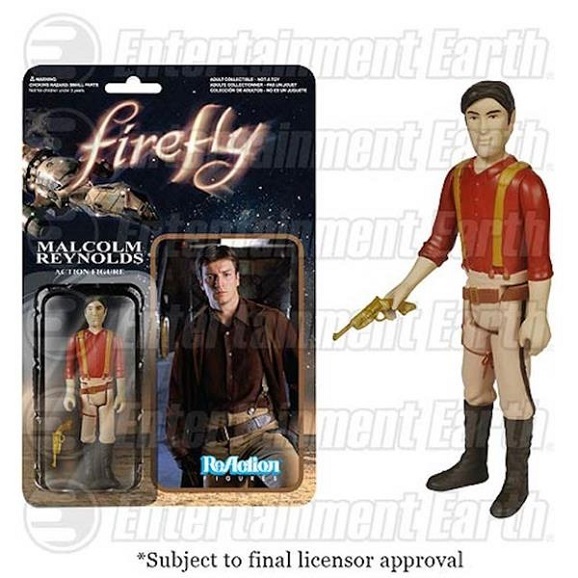 We’ve already seen Mal and his signature pistol, so let’s take a look at the rest of these goofy looking bastards. Above you’ll see Zoe and her Winchester. You can tell she isn’t ready for battle by the way she’s gripping the gun. Thankfully, Wash and his barely Hawaiian shirt get to hang out with his two dinosaurs. 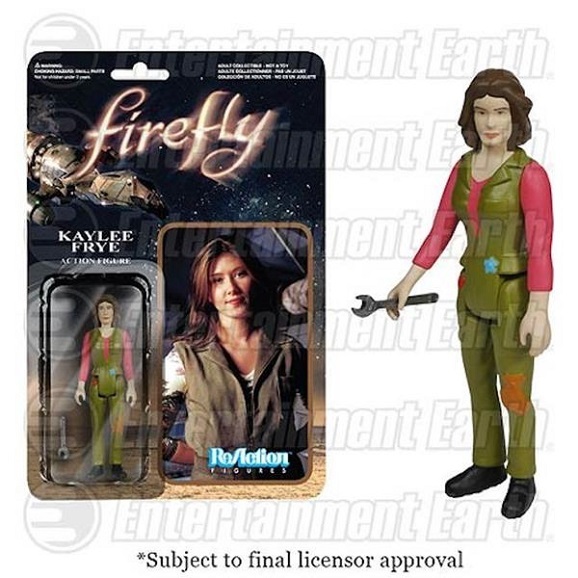 Next up is the weapon-heavy Jayne, with Kaylee, whose character is wholly summed up by a wrench. Both of them happen to be wearing shades of thrown-up avocado. Funko wisely isn’t charging exorbitant prices for these products, and you can pre-order them here for $9.99. 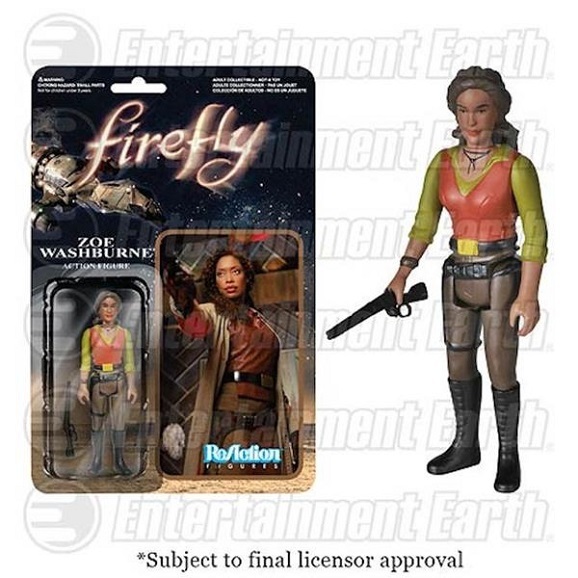 Admittedly, even ten bucks is way too much for these figures, which are only 3 3/4 inches tall. You still have a little while to consider your options here, as the toys aren’t set for release until April. Personally, I’ll just be waiting for the non-throwbacks, as well as the limited TV series, the film franchise, and the surgery that replaces my brain with one programmed to make me think I’m Mal Reynolds. Those are the worst gorram things I’ve ever seen. I don’t object to the throw-back style, as they remind me very much of the Star Wars figures my brother and I had as kids. But the faces! The faces should at least resemble the characters, and from that standpoint, they are terrible.